Transforming robot, known as CanguRo, is a new robotic mobility vehicle which is developed by Shunji Yamanaka and Takayuki Futura. CanguRo takes its name from the Italian word for kangaroo, but this unique robot prefers to roll as a hop. “The reason for its creation is to fulfil two jobs: autonomous assistant and part self-driving mobility vehicle”. This is a part self-driving mobility vehicle which is crated at Chiba Institute of Technology. This interesting and particular robot CanguRo have a capability to go around the room, carrying heavy loads such as shopping to your home. “With this machine, we aim to realize a complete fusion of robot technology and mobility,” Furuta told the Japan Times at the unveiling event this week. “As a partner robot, it never leaves the side of its master. It transforms into a vehicle that augments its master’s physical functions and travels with the master as one. It is a machine lifeform produced from the latest robotics and AI technologies fused by product design,” says Japan Trends. The CanguRo is in the process, and the team is currently working on giving the robot speech capabilities to suggest the customer a much more personal experience. “Judging by the kind of friendly looks CanguRo receives from the lad in the video above, turning the machine into a kind of robot buddy appears central to future development work. The video shows CanguRo tootling along with the guy, who then hops on for a leisurely ride to nowhere in particular. Next, he tries out its autonomous mode by using the app to send it by itself to another location a short distance away. A growing number of companies are looking into the idea of developing small robot transporters, with Honda, for example, recently unveiling several concept designs. 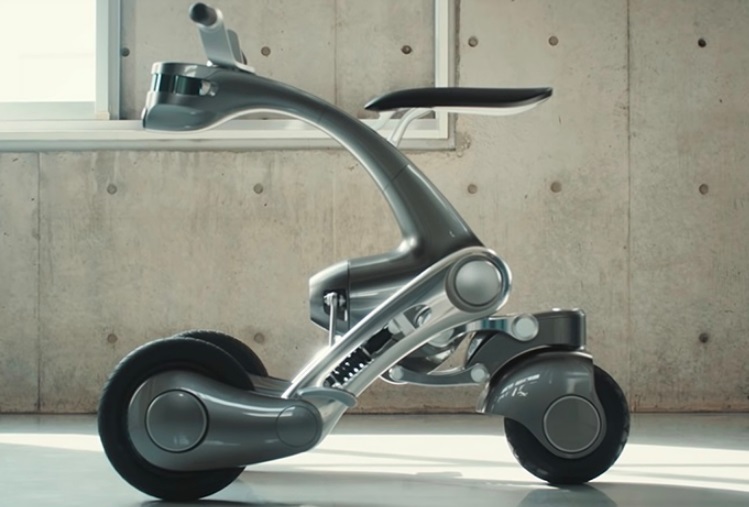 Among them is the awkwardly named 3E-B18, a single-seat mobility vehicle for casual use in indoor or outdoor spaces, while the 3E-C18 is a small-sized, wheel-based electric machine that also includes a small cargo space”, mentions www.digitaltrends.com.